If small, fluffy rodents give you the creeps, then, perhaps a bird or a fish is more your style. Birds can be either a cheerful, low maintenance presence or an interactive, friendly companion. Making sure you select one that will best fit your family is an important decision. If you prefer not to handle birds and would rather simply enjoy their beautiful color or cheerful songs, consider a Zebra Finch or a Canary. Both of these species prefer their own company to that of humans. 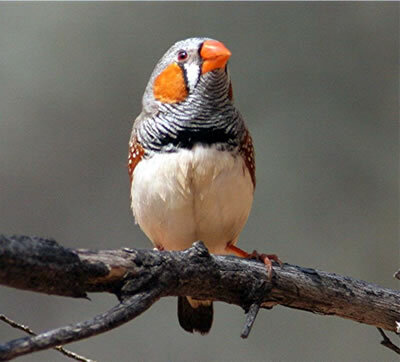 While the Zebra Finch lives happiest in pairs, the canary is quite content to be solo. 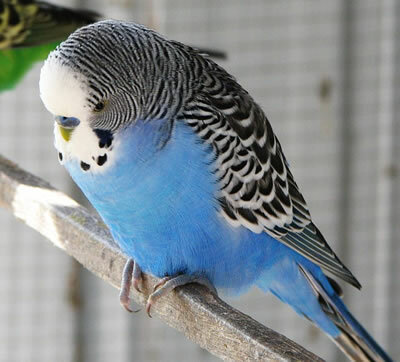 Cockatiels and budgies, erroneously known are parakeets, are a great choice for those of you seeking a more interactive pet. Both enjoy perching on your shoulder, mimicking household noises and words, and being doted on. Budgies make an excellent first bird for children! • Choose a large, well constructed cage. Your bird should be able to move around and stretch her wings. • Place the cage in a warm, well-lighted part of the house, close to the action. Avoid placing the cage in direct sunlight and, please, make sure it not drafty. Birds are extremely sensitive to fumes, which in the worst cases can prove fatal. A room other than the kitchen is the best bet. • Line the bottom of the cage with a paper bag or newspaper cut to size and replace daily. • Perches! Your bird needs perches for eating, drinking, and gazing. • Feed your bird the correct mix of pellets, rather than seeds, along with fresh fruits and veggies every day. Make sure he has clean, fresh water, too. 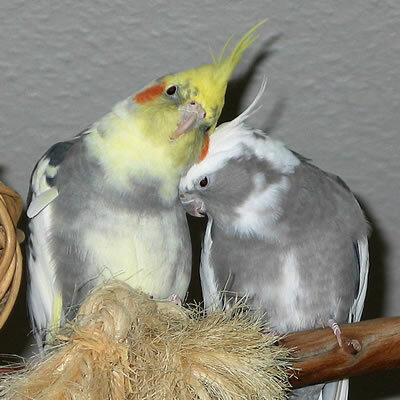 • If you have a budgie or cockatiel, you will need to hand tame her after a few weeks of getting to know one another. Begin by opening the door slowly, talking to her reassuringly and offering her a sunflower seed from your hand. When she is comfortable taking the seed from your hand, you can offer a stick as a perch, pressing it gently against your pet until she hops on freely. From the stick, you may offer your finger as a perch. Remember to be patient! • Bath time! Birds love to have a bath. Offer yours a bowl of water in the bottom of his cage to keep his features picture perfect. • Exercise and toys are important for your fine feathered friends, too. All birds will appreciate a selection of toys—ladders, mirrors, bells, swings and chew toys for keeping their beaks sharp. Budgies and Cockatiels, once properly trained, should have an hour of exercise outside of their cage each day. Make sure the room is properly secured before opening the cage, though!